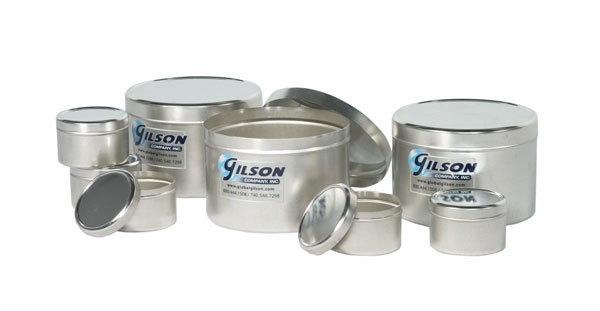 6oz Tinned-Metal Sample Container - Gilson Co.
SC-504 6oz. Tinned-Metal Sample Containers are used with HM-320 Manual or HM-322 Automatic Universal Penetrometer in sampling and measuring specimen materials. The round containers are 2.9x1.9in (74x48mm) dia. x H and have an 177ml (6oz) capacity. Meets AASHTO T 176 and T 210, ASTM D2419 and California 217 and 229 Standards. Sold in a package of 12.